Satellite communication overall is a wonder, and Iridium® has made that wonder a reality and, in the very near future, a source of infinite possibility. The revolutionary Iridium NEXT constellation is bringing futuristic fantasies to life with technology’s best and brightest international partnerships to ensure incredible communication applications worldwide. Iridium NEXT is a second-generation constellation of satellites, a multi-billion-dollar mission powering the Iridium CertusSM communication platform. exactEarth, a partner in the Iridium NEXT mission, is in the midst of launching innovative payloads, data transmitters built into the satellites launching in this updated constellation. The first phase of our 2018 establishment of exactView RT powered by Harris is already in orbit. Once all the satellites enter orbit and activate, Iridium NEXT will provide Iridium Certus, eventually enabling data transmissions at a speed of up to 1.4 megabits per second, as well as supporting partners such as exactEarth. For exactEarth customers subscribed to exactView RT powered by Harris, this will reduce the lag time between S-AIS communications to less than one minute. 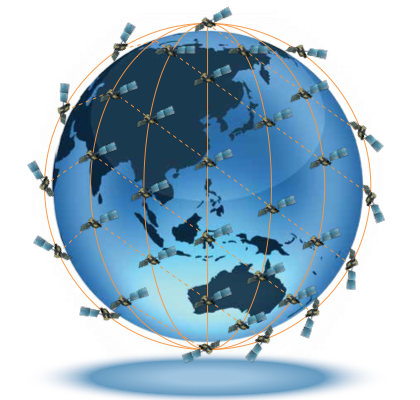 Each satellite is linked with up to four surrounding satellites, creating a dynamic and robust network capable of sending signals that even natural disasters can’t disrupt. For maritime shipping, exactEarth services through Iridium NEXT means global L-band transmission with little chance of disruption and pinpoint vessel positioning and the ability to communicate between land and sea in any body of water, anywhere in the world, anytime. At the time of final activation, the Iridium NEXT constellation will consist of 66 Low-Earth Orbit (LEO) satellites. Residing only 780km away from Earth, LEO satellites utilize a short transmission path which means strong signals and miniscule lag time. Nine spare satellites will be in orbit on standby with another six on the ground ready for launch should the need arise. Combined with Earth-bound infrastructure and a highly advanced technological communication platform, quite literally the Iridium NEXT project is huge. exactEarth’s confidence in Iridium stems from the fact that this launch and mission is their norm. Iridium’s current constellation is proof that this aggressive feat is not only plausible but already in fine working order. It would be remiss to term Iridium NEXT as “merely” an update, however. The project encapsulates incredible dream-team-devised technology built in partnerships with expert companies from all around the world to create not only the best constellation possible but one filled with infinite possibilities. In addition to exactEarth and maritime communication, Iridium NEXT partners with aviation and land mobile communications service providers, both commercially and with government agencies. We already have 4 payloads in orbit (see press release), with 9 more a part of the Iridium NEXT launch scheduled this Sunday, June 25th with subsequent launches targeted just a few months apart thereafter. By the end of 2017 more than half of the exactEarth RT powered by Harris payloads are expected to be in service and the rest following quickly to meet our 2018 fully-operational completion date. The future is near!